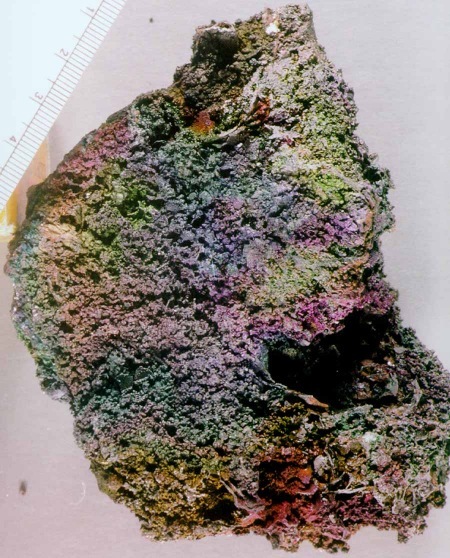 A variety of physical processes involving scattering and interference phenomena cause color in a variety of minerals. 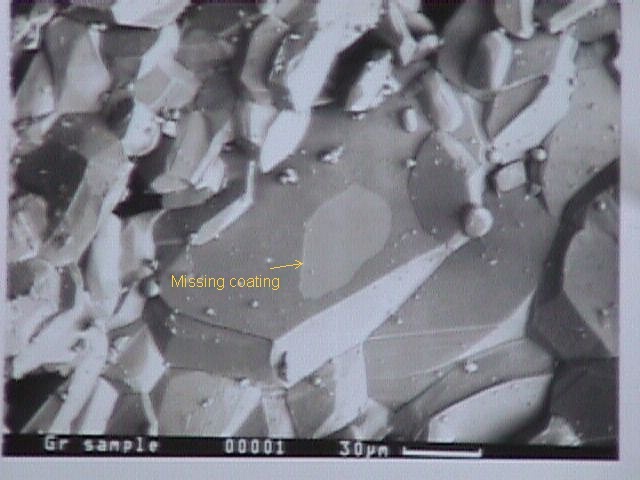 Thin films of a material with an index of refraction which differs from the host mineral cause the color of some minerals. The sequence of colors has long been recognized as Newtons colors, the same colors seen in an oil slick on water. The following examples are representative. "Rainbow" hematite, 98 K; A thin film of an aluminum phosphate coats this hematite from an iron mine in Minas Gerais, Brazil. It can be readily seen in a Scanning Electron Microscope image 59 K.
Another example of iridescent hematite, 116 K from Graves Mountain, Georgia, USA, provided by Paul A Schroeder of the University of Georgia.. Regularly spaced layers of minerals with different indices of refraction will produce colors if the separation of the layers in on the order of the wavelength of light. 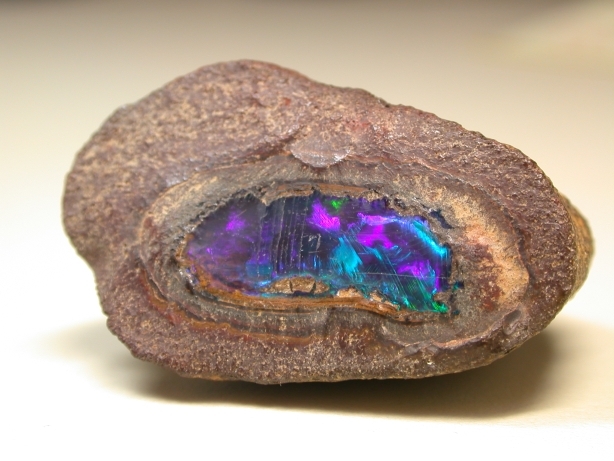 Familiar examples include opal and feldspars. 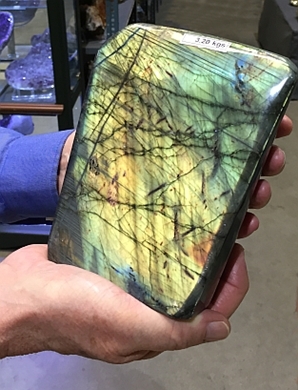 Labradorite feldspar from Madagascar showing color phenomena arising from sub-microscopic alternating layers of Ca-rich and Na-rich feldspars. Opal in matrix from Australia showing the play of colors arising from ordered layers of beads of silica. Inclusions of foreign phases are often responsible for the color of minerals. The dark, near-black color of some plagioclases is due inclusions of magnetite. 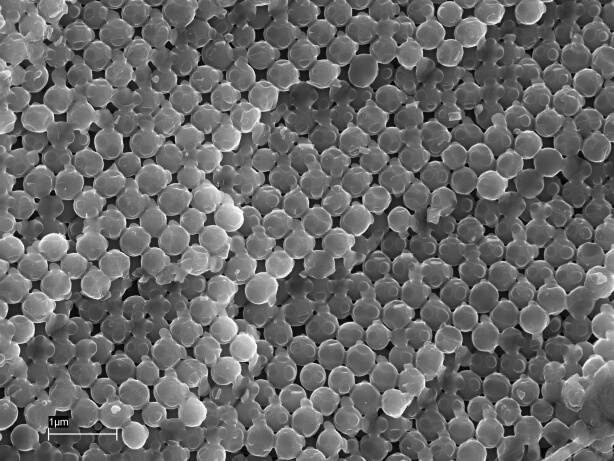 A picture of these inclusions is available in the paper by Xu et al. (1997) J Geophysical Research 102: 12,139-12,157.